Nel Whatmore: Happy Cat Doorstop Competition in Homestyle Sewing, GREAT PRIZE TO WIN! 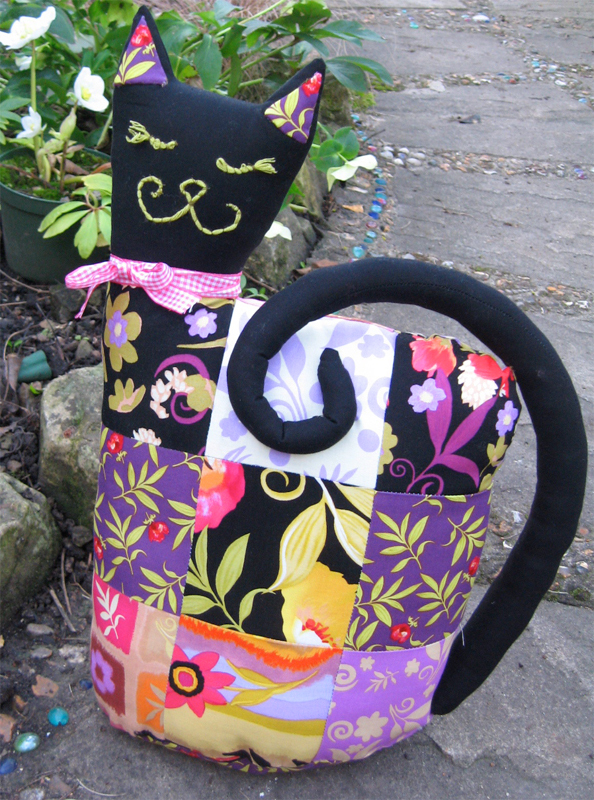 Happy Cat Doorstop Competition in Homestyle Sewing, GREAT PRIZE TO WIN! Homestyle Sewing are doing a feature on me this month and are running a competition. There is a pattern in the magazine to make a Happy Cat weighted door stop (featured in the picture here). All you have to do is make your own cat either following the same pattern but just using different fabrics from the Happy Go Lucky range or making your own cat but still using the Happy Go Lucky fabrics. Then just submit a picture of your cat to my website follow the link above http://www.nelwhatmore.com/gallery/ and finally give your cat a name! We have had Cool Cat/Fancy Cat and Happy Cat so far! You could win over a £100 worth of goodies including placemats and Royal Worcester Mugs. The winning cat will also be on display at the famous Festival of Quilts show at the National Exhibition Centre in Birmingham August 11-14th. It will then be returned to you. Entries must be received by the July 31st. So happy sewing and I very much look forward to seeing your cats! Hi Nel, I am from Victoria, Australia and I visited the UK in 2009 and purchased a magazine with your cat doorstop pattern with it. I have been going to make this for a cat loving friend for a while and now when I am finally going to do it I realise I don't have the magazine. I probably thought the instructions were with the pattern but they must have been in the actual magazine and I had a purge a while ago.